X-Factor Auditions, mum can you see me? The screens we’re making money throughout the day too by displaying advertisements. These ads can be pre-loaded into our system, and left to run with ease. If you’re creating a live event and you’d like to create a new revenue stream, selling advertising is the easiest way to make some money back for your show. The ads can be managed, scheduled and automated all from our system to make your job of managing all screen activity as easy as pie. The show was a great success and our screens are set to be displayed on the live shows, so keep your eyes peeled! 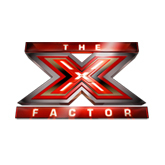 X-Factor are the latest TV show to see the benefit from having twitter walls, and improving digital interaction at their events. All day we had nervous men and women, boys and girls tweeting in before their big auditions. We found that people were competing to get their twitter picture and comment on the screen, resulting in greater crowd engagement. When you have such a large amount of people tweeting using the same hashtag, the comments which you’re selecting might not be from people at the actual event. How did we get around this obstacle? Geolocated Tweets. This means we we’re only picking up tweets within a close radius of the auditions, so we’re sure that the comments on the screen are from the people at the event. This feature is really useful for events which already have a large brand behind them, as to differentiate between audiences.